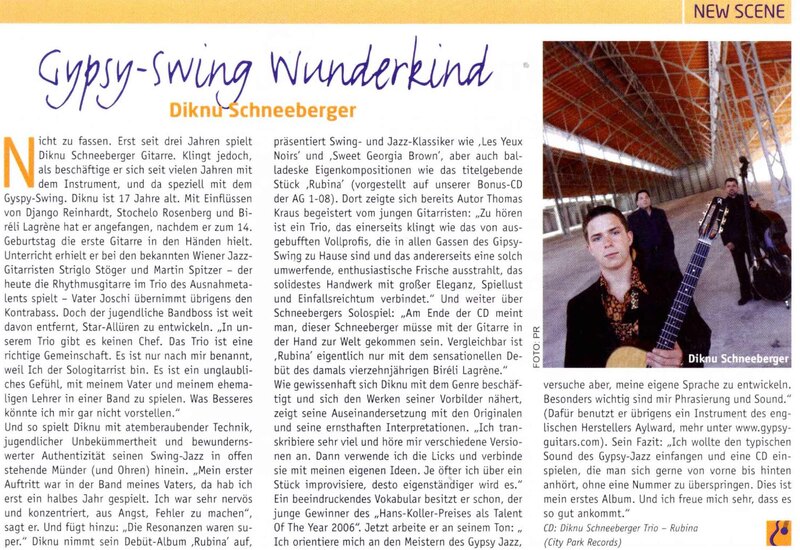 1990 born Diknu Schneeberger is an exceptional guitarist in Gypsy Jazz. He was honoured with renowned Austrian Hans Koller price as "talent of the year 2006" at the age of 16. 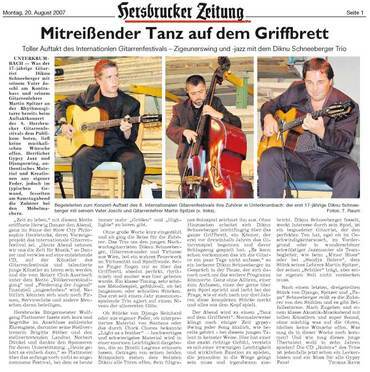 Whilst still studyiing jazz guitar at the Konservatorium Wien, he already joined the group of his father, Joschi Schneeberger Quintett. 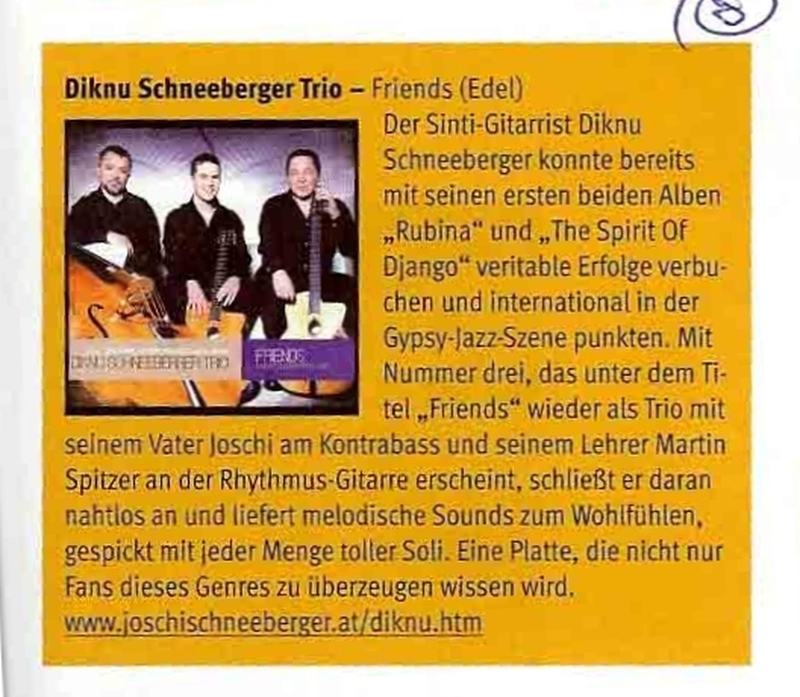 Since 2007 he also runs Diknu Schneeberger trio, together with his father 'Joschi' (bass) and his teacher Martin Spitzer (guitar). He impresses with a fat tone, sweet and elegant at the same time, with tasty vibrato, full of temperament. 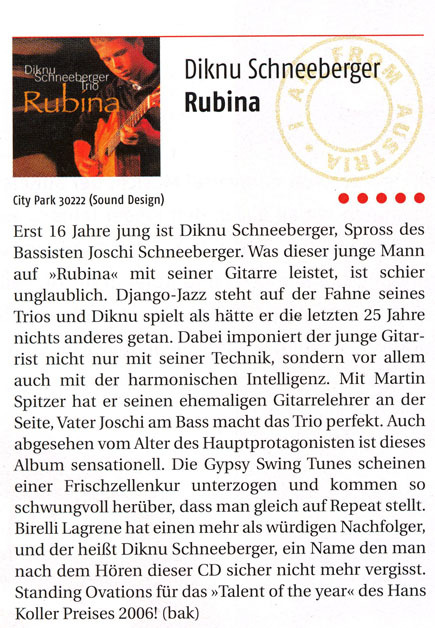 16 years young and already a real master on the Gipsy Jazz guitar and winner of the Hans Koller prize 2006 (Talent of the Year! 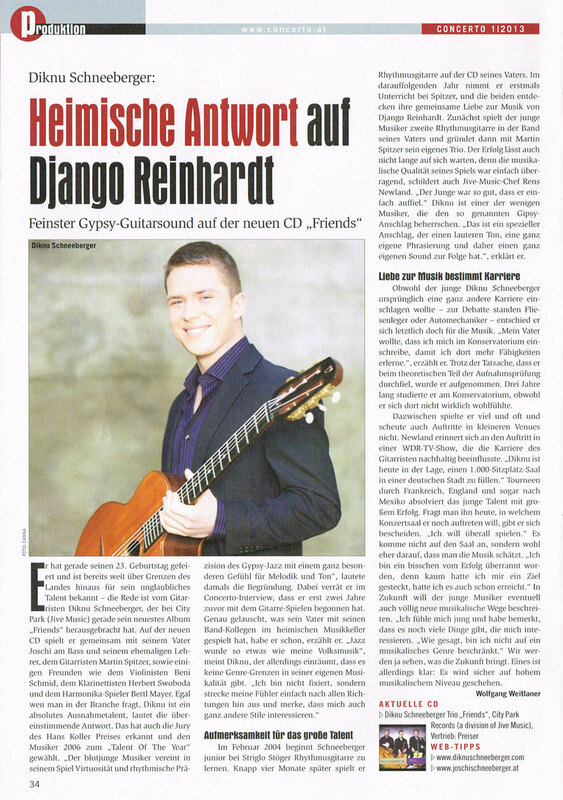 ), Diknu plays rapid Gipsy Swing as well as carefully arranged standards, interesting originals, a selection of Django Reinhardt's finest compositions and some compositions by Django’s followers like Stochelo Rosenberg or Biréli Lagrène. On this 3rd Album of the still very young master of Gypsy guitar, he is appearing still more brilliant and clear. 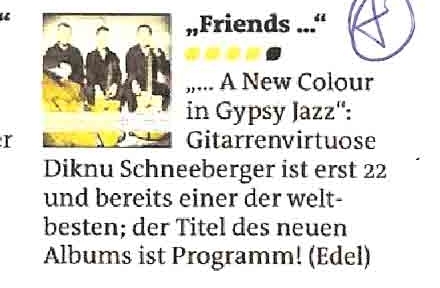 He invited musical friends to introduce and add some colours to the well known trio sound: Beni Schmid(viol), Herbert Swoboda(cl) and Bertl Mayer(mouth harp). Joschi Schneeberger (b) and Martin Spitzer (rhythm g) again make the perfect back up for this exceptional soloist! 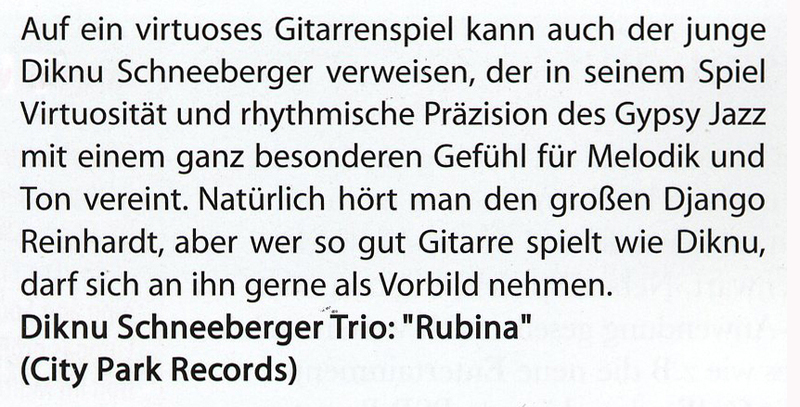 The young and exceptional Gipsy guitar player confirms on his 2nd album, that he belongs to the absolute top musicians. Brilliant, now even more tightened performance and a very nice choice of tunes made for the "Django"-year! The trio with father Joschi b and Martin Spitzer rhythm got even more tight in their playing!